You know when they say your life appears before your eyes, and it’s usually mentioned at the same time as dying and death? I had so many flashbacks on holiday I was convinced we weren’t going to make it home. Everything brought back some memory from somewhere. We’d be driving down a sunny road and I’d be transformed back to Australia. We’d drive somewhere else and a song would come on the radio, and immediately I was back in the mid-1970’s and re-living whatever happened then. It was odd. It was like I was wiping my old memories with new ones. When we got to Lyme Regis (which we went to around 1980ish) the flashback of falling from The Cob into the sea reared it’s head (I didn’t, I just feared I would), so again I refused to walk on it. But I remembered trampolines near the sea – or maybe that was a flashback to North Wales in the mid 70’s again. It didn’t happen once or twice either – it was several times a day, every day. It was weird, everything came back on those few days. I’m still alive. My life reappeared before my eyes over several days, and nothing happened. I’m still here, we all are. We got home and it stopped too. I kind of want to go back on holiday again to make it come back again – it was strangely reassuring, like my memories were looking after me. Okay, so without waffling too much, let’s sum up our holiday. 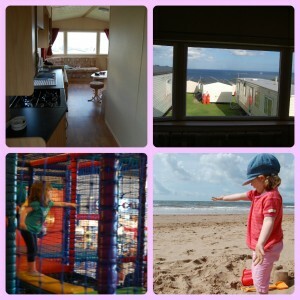 We went to the Haven Devon Cliffs holiday camp which despite my initial dread was really nice, really clean, the only noise we heard was other kids running in their chalet/caravans which sounded more like people walking heavily upstairs – and didn’t go on for very long either. H had a big girl bed and only fell out of it twice. We had a view of the sea from our biggest window which was pretty ace every morning – and it felt really private too. It was a bit cold at night though. Entertainment-wise, it was perfect. We don’t really do that holiday camp thing, but in the middle of the food area there was a fairly large soft play area. 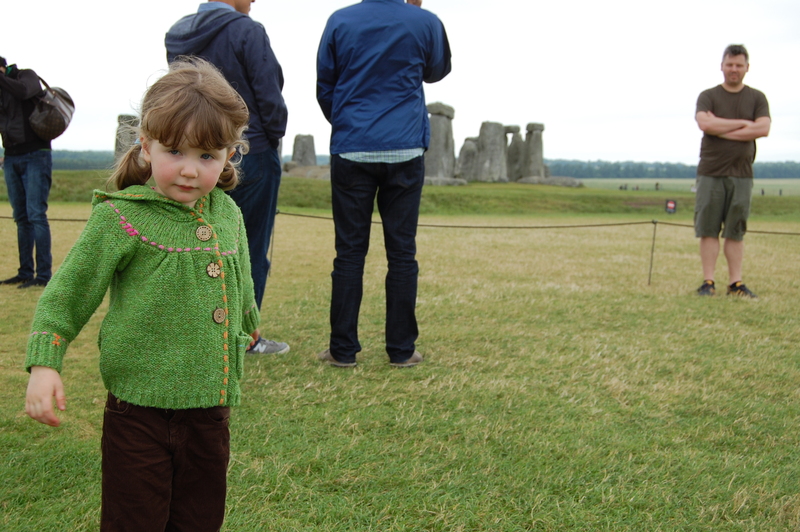 H saw it, threw off her shoes and ran onto it before we could point it out to her – it proved extremely popular with her, and she demanded to go on it every night. It seemed to tire her out too… They have a Papa John’s who will deliver to the chalets too which appeals to my lazy nature – yum. Food-wise, the main bar and the cafe were both priced reasonably which is nice. Child menu’s too, and child cutlery which impressed me a lot. H ran like crazy to give a person dressed as a tiger a cuddle, so Shaun finally got to witness the possessed H I’ve seen a few times (Fudgy Bear, Wenlock). Devon Cliffs has its own beach which only residents of the park can use. It’s a nice clean beach and wasn’t too crowded, plenty of room for everyone and good for paddling and playing in the sea. The holiday would have been great were it not for my stupid dry cough I had which stopped me from sleeping very well. We should have stayed for longer too, as it flew by – and there’s so much to do there. This is a plus as it means we’ll probably book for next year – having found out that our Sun break at £40 plus £99 extras could be booked direct, so we’re not saving a huge amount anyway. As for the things we did, I’ll save that for another post – probably over at Mum Friendly as there’s a lot we did which is worth sharing – and some fabulous places too. Over a week. Cripes! 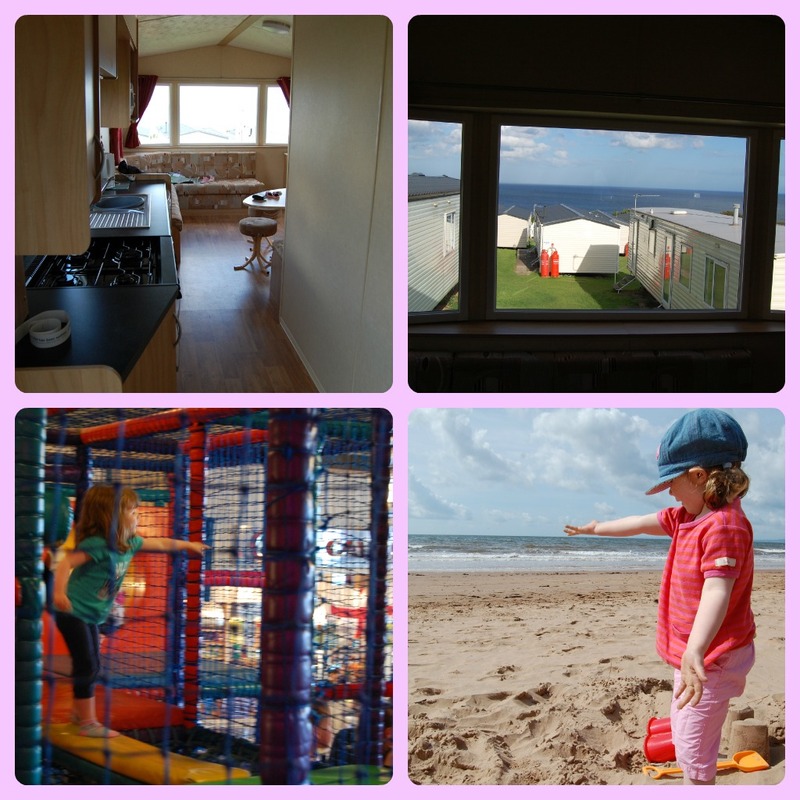 But there’s a reason – we had our first ever family holiday – just the three of us in a caravan (which was more like a chalet on wheels) at Devon Cliffs near Exmouth, our own private beach (so why when it’s empty does the next family sit so close to us?!) and free Wifi in the big pub and the smaller bar near the beach (I got twitchy, no internet… but limited on my phone) – plus tons for H to do. Prior to that, H had her eyes tested. I’ll write about it in more depth over at the Adequate Parent but basically, she needs glasses. We’re going shopping for some this afternoon – she’s looking forward to it. I’m dreading them breaking at nursery or something…. it’s not major, but there’s enough of a problem she needs them. This meant we left later on the Friday, and got to Exmouth for 6pm, got to our chalet place (“little house” said H) and headed to the complex – where there was a Papa John’s which delivers to the chalets! So a quick (ha) play on the Soft Play area, and we headed back to get ready for a busy few days… and that we had. The theme seemed to be trains which suited us all fine. We had rain, but plenty of sun and got to see lots of things. The biggest eye opener was finding out you can buy holiday homes down there for £10k. We don’t own any property, and we’re quite tempted… it’d guarantee us holidays for the forseeable future too… but it needs more thought for now. 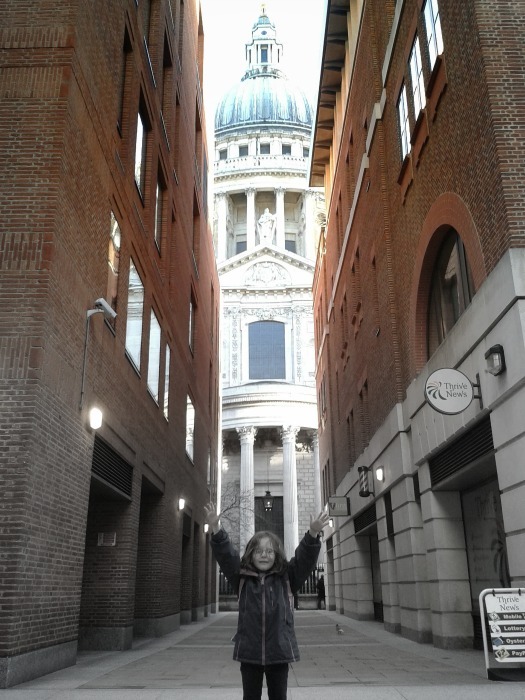 H had a fantastic time. There was so much there geared towards her needs – and it wasn’t all sponsored and in your face – just things she wanted to do. She loved the beach, even if she ran back to me almost in tears after her first paddle “MUMMY I DON’T LIKE IT” sort of stuff. She was generally well behaved (only a handful of tantrums) and only a handful of night terrors… (one at Rachel and Joe’s place).